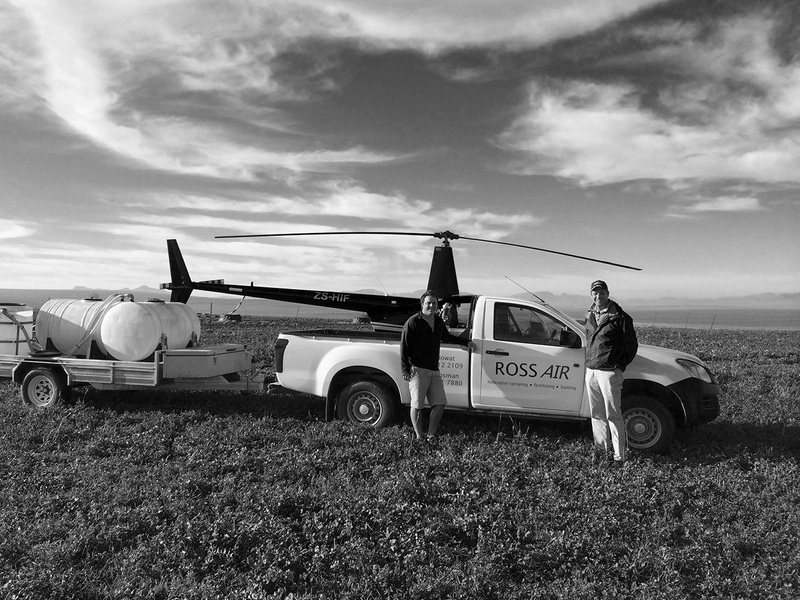 Crop Spraying – Ross Air’s core business revolves around aerial applications on crops, bush clearing and alien plants. Being the industry leaders in this field, Ross Air prides itself on solving your solution in all respects. 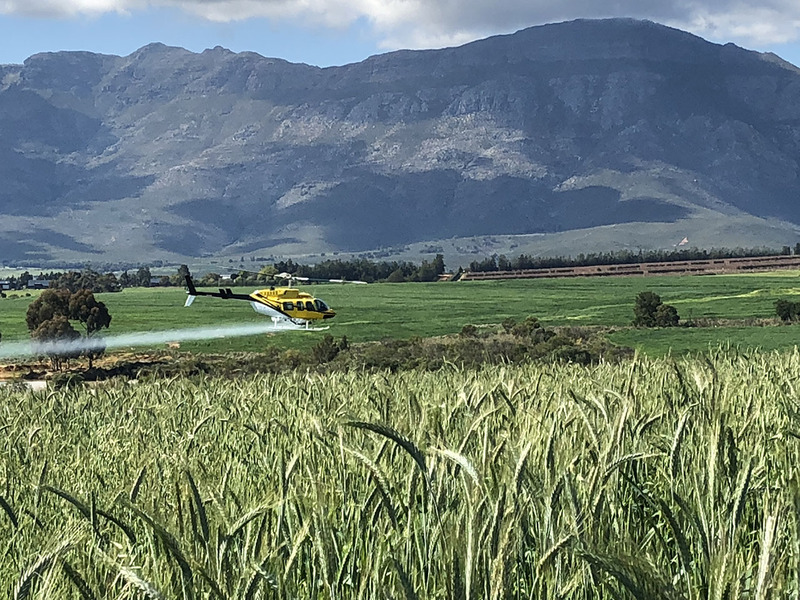 Equipped with the latest spray technology, gps systems and the best spray helicopter fleet on the market, we are well placed to take on any application request. 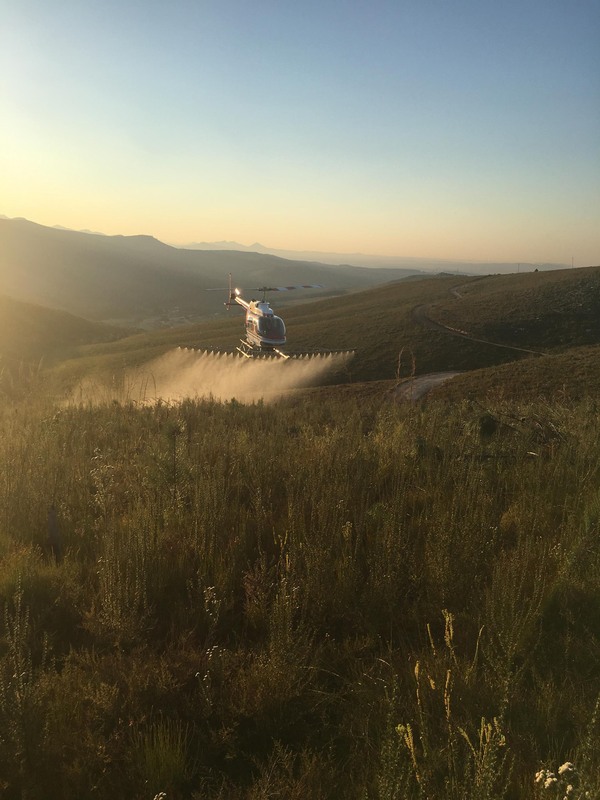 Aerial Insect Release –Ross Air releases insects over 1,5 million hectares per year, utilizing originally designed release mechanisms specific to the insects’ requirements. All release equipment is calibrated and cooled, with high volume capacity to cope with “area wide release” requests. Spare helicopters and release mechanisms are available 24/7 should there be any issues. Cherry Drying – Due to the high cost and income potential of a cherry crop, the slightest bit of rain at the wrong time can cause marking and/or the fruit to burst. Ross Air has several helicopters on standby to dry cherries at a moments notice. Seeding – Utilizing spreaders imported from New Zealand, Ross Air seeds economically and effectively, covering areas rapidly in situations where ground equipment cannot apply. Cover crops are our forte, however seeding in any situation is highly effective. 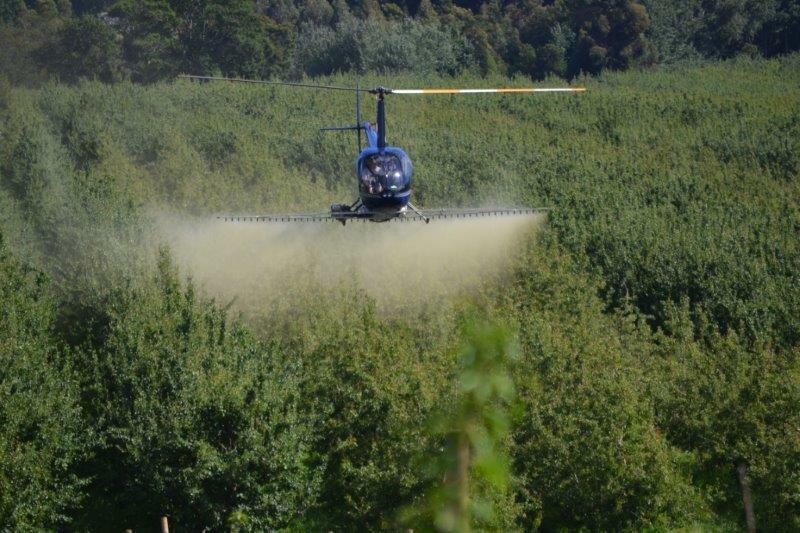 Baiting – Fruit fly baiting makes up the bulk of our applications, covering approximately 350 000 hectares per year. 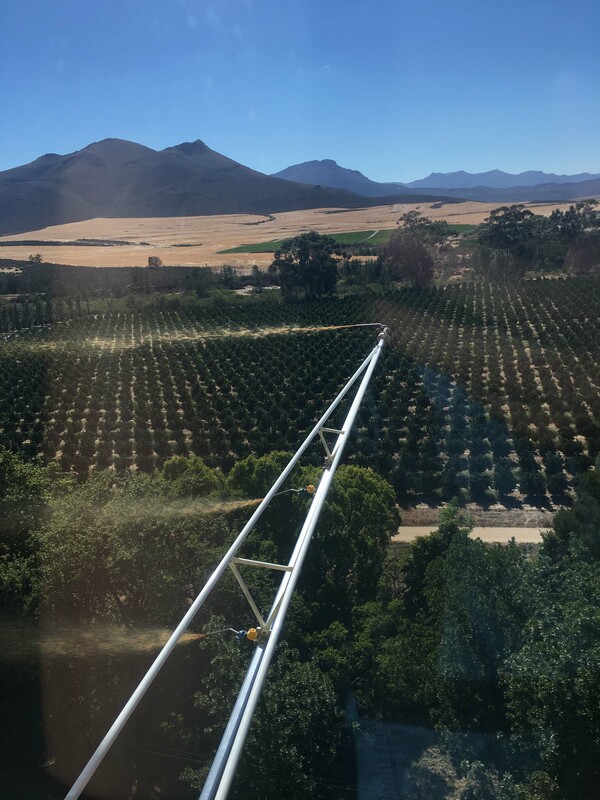 Ross Air has the most experience of fruit fly baiting in South Africa, and prides itself on its participation in the fruit fly industry.